On a small country farm road between Mirepoix and Pamiers France is the small village of Vals, there is a historical momument called Church Of Sainte Marie or Eglise Rupertre de Vals. Set on the highest hill in the village and literally build from the mountain rock it stands towering over the small town. To enter into the church you go in a door set between the mountain rocks at the base of natural stone to walk up a stairway as if going into a cave. The church is built on four main levels: an entry, alter area and two sitting areas making it one of the most uniquely designed churches in France. It is reported the structure was first constructed in the tenth century, however it was most likely a place of worship or sacred power spot long before that. 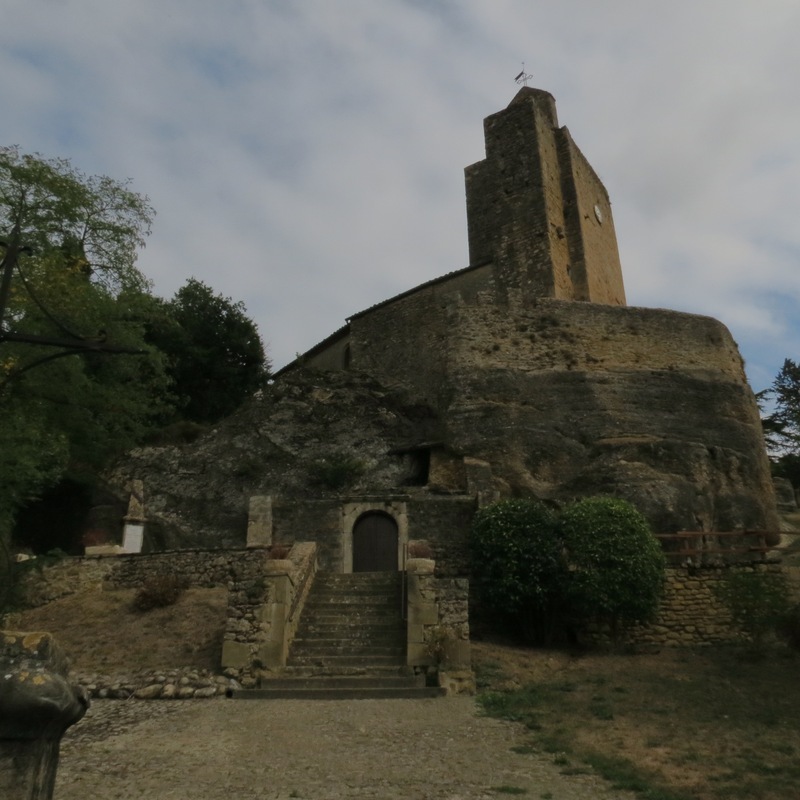 Like many churches in the Languedoc region, they are built on lay lines or power spots being the source of their special vibration. When a person stands behind the alter area they will perceive a dynamically powerful energy surging in them in the second chakra area. The entire church emanates the power but is especially strong behind the alter. One of the special additions there are some lovely frescoes dating from the 11th century, with links to the grand traditions of Catalonia, and Romanesque painting depicting the Annunciation, the Nativity, the 12 apostles (only 4 still showing). I have not seen anything like them in the area. Vals, France is easy to locate on a map, only ten kilometers directly west of Mirepoix in the foothills of the Pyrenees Mountains. There is a tourist shop and restaurant in the town as well.